Greater Lowell Area - Take a day trip! Lowell is an interesting area with an amazing story to tell and it includes a lot of great historic attractions. Many of them are part of Lowell National Historic Park and are managed by the National Park Service with some state historic parks and independent museums and other organizations rounding out the mix. Lowell is one of the United States first industrial cities and was the definition of a ‘boom town’ growing from a small village of 200 people and a few farming families to a major industrial city of over 30,000 people in the space of just a few short decades! Lowell was also the single largest producer of textiles in the United States at one point and a symbol of emerging American industrial might as well as being a good example of the costs that often come with rapid industrialization. You could easily spend a day or more checking out all of the attractions that this city has to offer and it would be time well spent learning about some fascinating pieces of American history! 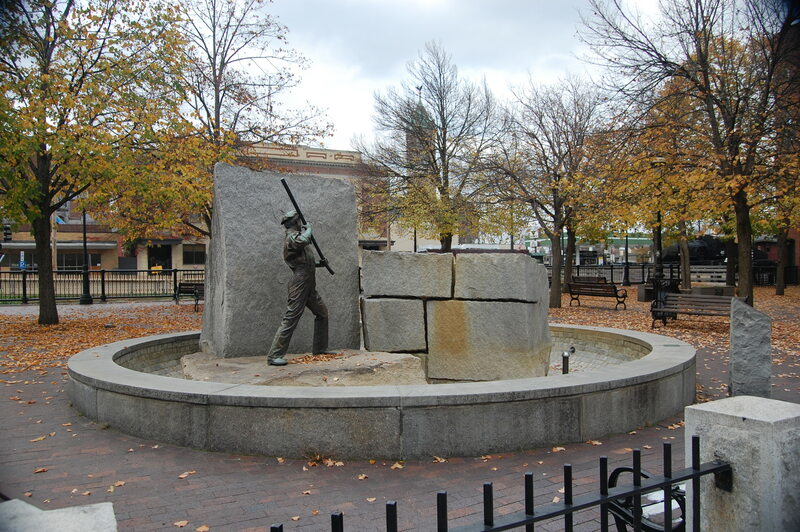 Visitor Center and exhibits – This is a great place to start your visit to Lowell as there is an information desk to get directions or tips on where to go, a movie that talks about the history and Lowell and some basic exhibits to get you started. Boot Cotton Mills Museum – This museum has operational authentic looms and other cloth weaving machines from Lowell’s heyday in the early 20th century. Working People Exhibit – This exhibit is located in the reconstructed boarding house of Boott Mill on French St. and exhibits the lifestyle of the mill girls who were the first workers to fill Lowell’s mills. The park outside this building also holds events throughout the warmer month. Suffolk Mill Turbine Exhibit: This exhibit is in the former Suffolk Mill building (now redeveloped as residences and named the Wannalancit Mill) and includes a working model of a weaving machine and several examples of the equipment developed to exploit the waterpower generated by the drop of the Merrimack River here that powered all of Lowell’s mills. Please note that this exhibit is open on a limited basis and possibly only as part of a tour leaving from the visitor center. Working Canal Locks & Gates: The best example of working canal locks and water control technology which were the backbone of Lowell’s mill and economy are located at the Francis Gate & Guard locks located off Broadway St. when it crosses the Pawtucket Canal. National Streetcar Museum: This museum is located in Downtown Lowell and chronicles the history of streetcars and urban transportation in the United States. LeLacheur Park -This is a great place to take in a Lowell Spinner (Red Sox AA Minor League Affiliate). Tsongas Arena – Home of the UMass Lowell River Hawks Division 1 Hockey Team and lots of great on-ice events. Check out their website for more details. Lowell is conveniently located north of Boston near Interstate 495 and Route 3. Follow signs from either one for the Lowell Connector which will take you into the National Historic Parks, museums and other attractions that make a trip to Lowell so worthwhile! A great place to start your trip is the National Historic Park visitor center; the actual address is 246 Market St.; Lowell, MA 01852 and the parking lot is located at 304 Dutton St.; Lowell, MA 01852. Greater Lowell is also accessible via public transportation. The MBTA Commuter Rail’s Lowell Line has service to Lowell’s Gallagher Terminal. There is a shuttle from this terminal to many places in Greater Lowell. For more details on the MBTA Commuter Rail Service please visit their website and the website of the Lowell Regional Transit Authority.